The commission is composed of 13 members and headed by Land Management Minister Chea Sophara while Mao Havanall, minister of State of Secretariat of Civil Aviation is the deputy chief, according to the directive signed on Monday by Prime Minister Hun Sen. The commission is tasked with checking, determining the location and solving all issues so that the construction of new Phnom Penh International airport moves forward, the directive said. “The commission will check, determine, and regulate the location for building a new Phnom Penh International Airport, study and evaluate land price within the areas of the construction, and solve all issues involved in the location to move the construction forward,” it said. “Monitor and check the project implementation of a new Phnom Penh International Airport and its relevant infrastructure and make a report of the result to the Prime Minister for checking and approval,” the directive said. Last year, the government announced that it will build a new Phnom Penh International Airport. 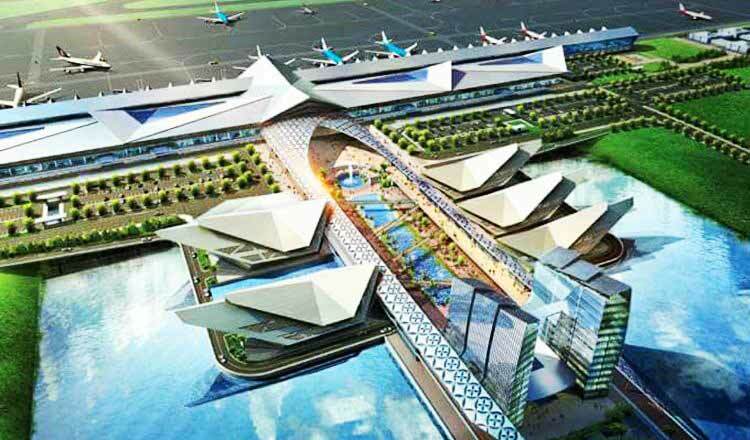 The project, a 4F-class airport, is a joint venture between the Overseas Cambodia Investment Corporation (OCIC) and the State Secretariat of Civil Aviation, according to the statement dated on December 21, 2017.